So you’ve decided to head to St Anton. Now what? Where should you ski? What’s good to eat? Don’t worry, we’ve got you covered. Our local in-resort team spills on their favourite spots to beat the crowds on the hill, to finding the best grub, to what to do off the slopes. Our insider’s guide to St Anton gives you the full scoop. Whether you’re always on the first lift or more of a leisurely skier, here are the best places to head in St Anton. This is generally a lot quieter especially if you get up there in the morning. Take the Gampbergbahn chairlift you’re given the option of either a red (run number 6) or a black (5). Looking for some off-piste? From here it’s easy to find some just off the sides. 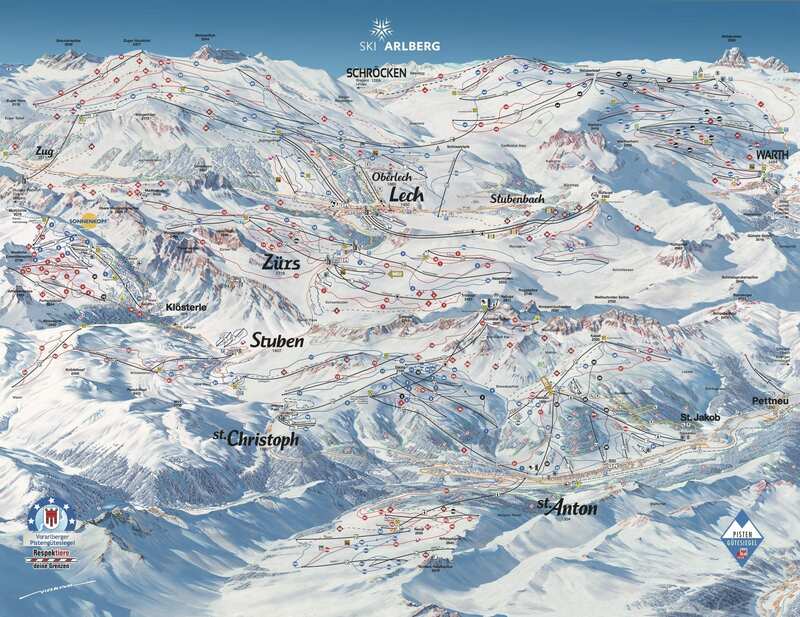 Ski route 10 is also great and is accessible from the end of piste 9. You can follow the ski route directly or traverse to either the right or left and come in through the trees. It’s a nice short run and the trees are good if the visibility is bad. There’s then a lovely long red piste (1) to come back down into St Anton. Over on the other side of St Anton, take the Gampenchair and then straight onto the Kapall chair. From here you have the option of a blue, red or black run. For those wanting something a little harder, once you get to the top of Kapall head to the left and take ski route 40 into the Mattun bowl. Just be wary to stay relatively close to the marked ski route especially when first joining the route as this area is more prone to avalanches. The top of Kapall also has pretty amazing views! If you’re looking for some other good views head up the Valluga I cable or Shindergrat chairlift. Valluga is the highest peak in the area at 2811m. Heading slightly further afield, piste 100 is a nice long run which takes you down to Zurs from St Anton. The off-piste from this run is good and easily accessible as well. Going into Zurs is great if you feel like exploring a different area. 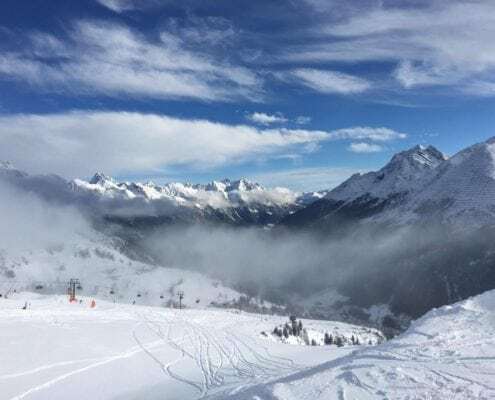 It generally tends to be quieter than St Anton and has lovely wide pistes (and the bonus of heated chair lifts seats!). Run 157 and 159 are lovely blue runs or runs 158 and 156 are good red runs. Off-piste to the side of these runs is great, visible from the slopes and generally gets tracked out a lot less quickly than the easily accessible off-piste in St Anton. For those who are relatively advanced skiers and enjoy a bit of a challenge, the Run of Fame is a perfect opportunity to experience the variety of slopes and lifts that the Arlberg has to offer. It takes you from St Anton to the far end of the Arlberg ski area in Warth and you’ll get to see some beautiful scenery en route. Avoid the trees – In the St Anton ski resort, you’re not allowed to go in most of the tree areas. On the piste map, the trees have green borders around them, which you know should be avoided.. This is not only for your safety but also to protect the trees. And Happy Valley – Additionally, run 55 – also known as Happy Valley – has now been closed for the rest of the 2018.19 season due to multiple avalanches. If you do ski there not only are you risking your own safety, you may lose your lift pass as well! 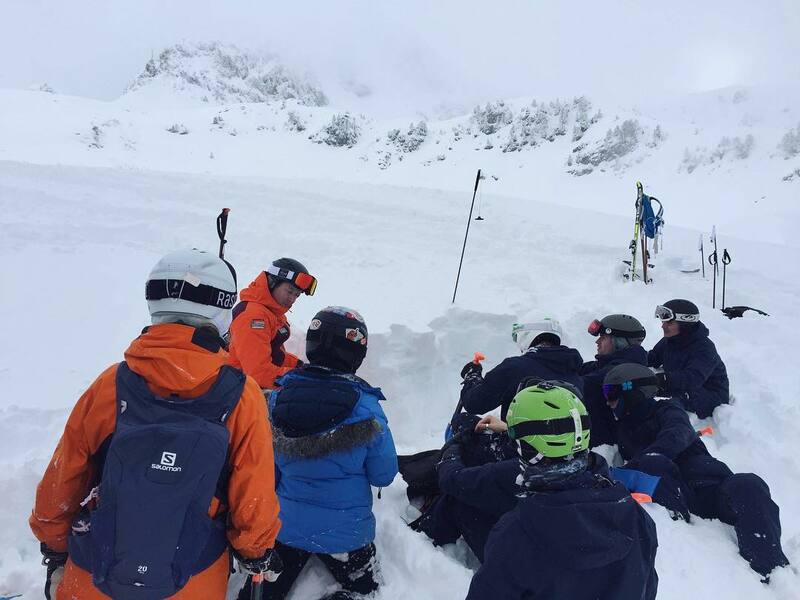 Have safety gear – Respect the mountains and make sure you always check the avalanche rating before you set off. And always make sure you have the appropriate kit with you if you’re heading off-piste and go with someone who knows the area. If you head out with one of our guides, we have avalanche packs available to borrow. When it comes to après you’ve probably heard about Krazy Kanguruh (KKs), Taps and the Moosewirt – all guaranteed a great time if you’re up for loud music and many-a-beer. If you’re fancying something a little different here are a few other options. Senn Hütte – Located on run 50 above the Moosewirt, this place is a great lunch spot serving traditional Austrian dishes. They also have daily live music until 18:00. Underground Bar – For more (easy-going) live music head to Underground Bar, to skiers right at the bottom of the slopes. Open from 16.00-01.00. Pub 37 – Another great spot, located at the bottom of the main pedestrianised road in the corner. Offers a wide range of gins and a more chilled après vibe. Murmmel Bar – Just opposite Pub 37, this place has great live music and gets especially buzzing on a Friday evening. The Museum Restaurant which was a filming location for ‘Chalet Girl’ is located just above Underground Bar. It’s a very good restaurant open for both lunch and dinner and offers something that little bit special in a cosy, traditional setting. 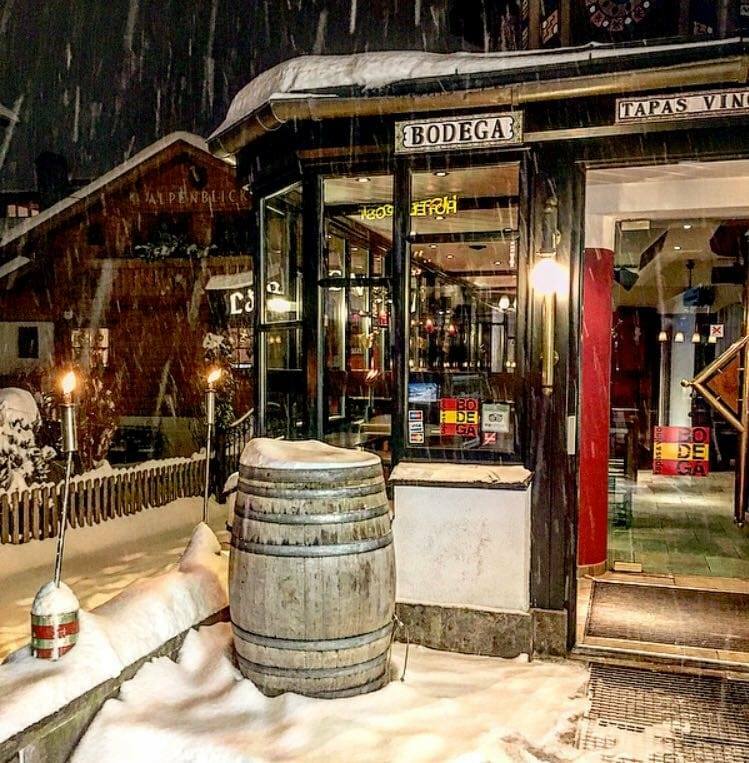 One of our favourite restaurants in town is Bodega. Serving a great variety of tapas dishes with the spicy prawns, garlic mushrooms and flaming chorizo (which literally comes out on a flaming dish) amongst the best in our opinion. You can’t book but if your group isn’t too big they’re normally very good at fitting you in! 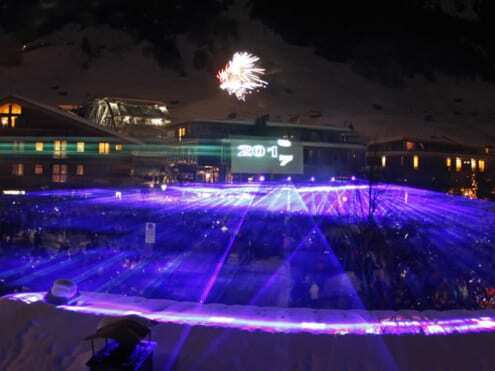 The Snow Must Go On – There is a free weekly ski show, “The Snow Must Go On” every Wednesday night at 21:00. It gives a history of skiing and the roughly 45-minute presentation has an accompanying film to close. They also put on free night buses to get there. 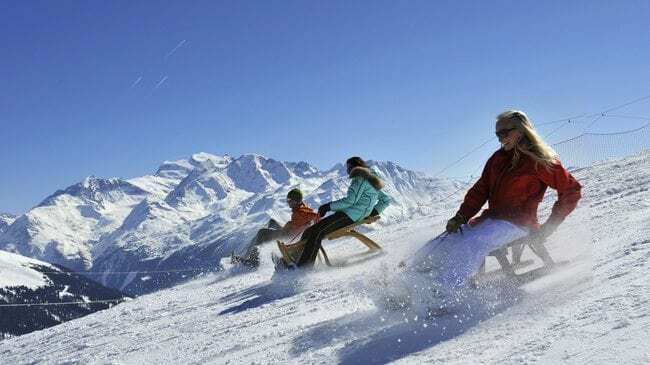 Tobogganing – St Anton also has a 4km toboggan run that is not to be missed! It starts at Gampen and goes past “Rodelhütte” hut to the “Rodelstall” in Nasserein from 19:15. The course takes about 15 minutes to complete and use of the run is free. Toboggan rental is available from Nasserein for 9€ plus a 20€ deposit. St Anton has a really good bus system to get around. You can easily get to some of the main après bars located on the slopes (bus no.3 from the main bus station). 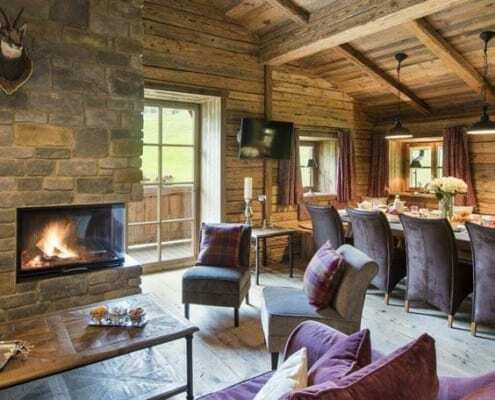 It also allows you to get from one side of town to the other, and to nearby villages such as St Christoph, St Jacob and Pettneu. This is really helpful if you’re looking for slightly cheaper options for accommodation. 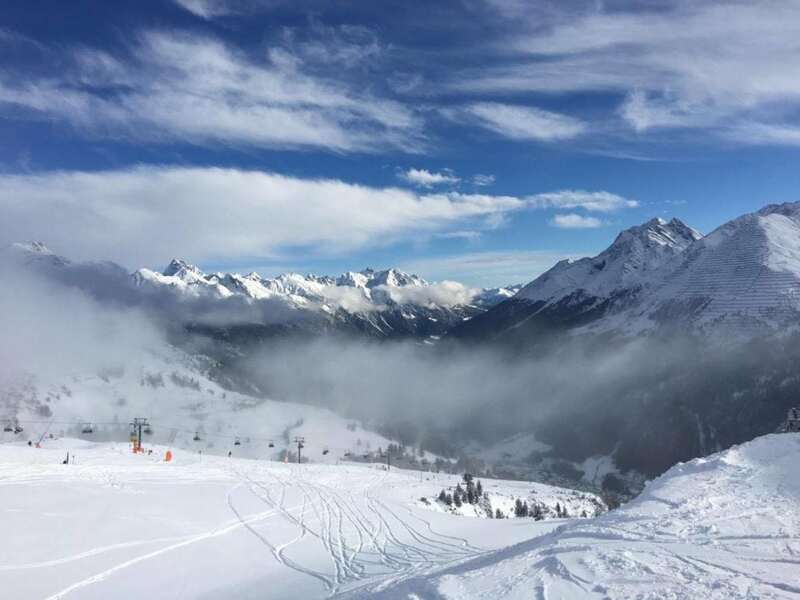 Additionally, if you wanted to explore a little further, but don’t fancy skiing, paid busses are available to places such as Lech for around 5€. There are also night buses that will take you home after a night out in town! These are just a few gems of what St Anton has to offer. As you can see there is plenty going on for everyone! Want to find even more hidden spots in resort? Hire one of our friendly and experienced St Anton ski guides who know the resort inside and out.